Have a good time in Gütersloh County! Recreation, sports, culture – the district of Gütersloh has a lot to offer! Are you looking for relaxation and want to escape from the wild hustle and bustle of everyday life? 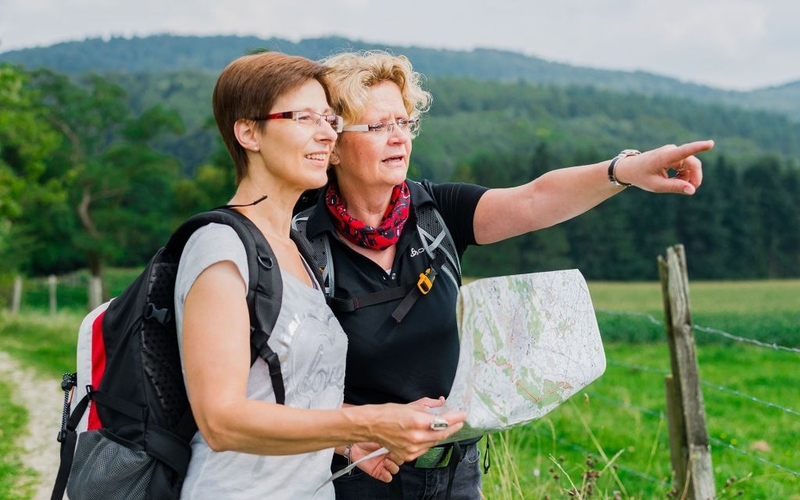 Then let your mind wander – in the Gütersloh Botanical Garden, the Gartenschaupark (Garden Park) of Rietburg, and in the Flora Westfalica in Rheda-Wiedenbrück (a garden park connecting the towns of Rheda and Wiedenbrück), slowing down and taking it easy are guaranteed! There’s also no need to travel far to be athletically active – simply go biking along one of the many cycling paths throughout the county. On the EmsRadweg (Ems Bike Path), the BahnRadRouten (Train Track Bike Paths), or the Grensgängerroute (Border-Crossing Route), to name just a few, you can enjoy nature to its fullest. For those who prefer walking, we recommend hikes through the Teutoberger Wald (Teuroberg Forest) with magnificent views of the Ravensberger Hügelland (hill country). The “Hermannshöhen” (Hermanns Heights), one of the “Top Trails of Germany,” offers a network of hiking trails of exceptional variety. The “Weg für Genießer” (“Path for Connoisseurs”) is a 95-kilometer (~60-mile) trail connecting five towns with one another, and offers hikers many sensational surprises along the way. The “Rundwaderweg” (Loop Trail) offers an optimal addition to the “Hermannshöhen” (Hermann’s Heights) long distance hiking trails. After so much movement, your creature comforts are also owed their due. Quaint farm cafes invite you to enjoy a pleasant break with fragrant coffee, homemade cakes, and other homemade specialties. The district of Gütersloh also offers many cultural highlights. Its leisure and cultural calendar includes lots of variety, everything from jazz concerts to the Gerry Weber Open Tennis Tournament in the HalleWestfalen – the only ATP grass tennis tournament in Germany.